In 2018, the battle between AI voice assisted devices has certainly made its leap from the mobile phone to pretty much everywhere. Case in point, Apple has Siri, Google has Google Assistant, and Samsung has Bixby. Samsung is proud of its virtual voice-powered assistant, so much so that their flagship devices come with a built-in Bixby button on the side, with the Note 9 being no exception. 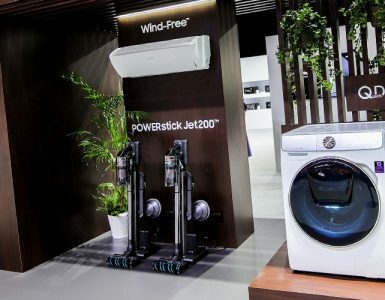 Having even launched an Internet-connected fridge, the final piece of Samsung’s puzzle comes in the form of the Galaxy Home. To build on their device ecosystem, the new Samsung Galaxy Home is a smart speaker for your home. Tuned with AKG Harman, the speaker has 6-sided omnidirectional sound with an inbuilt subwoofer. 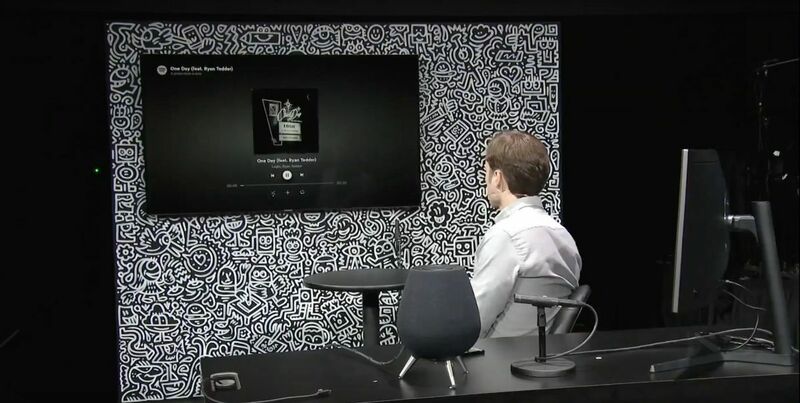 This was demonstrated with 160 Galaxy Homes filling up the entire Barclays Centre in New York with amazing sound as the product video was played on screen. 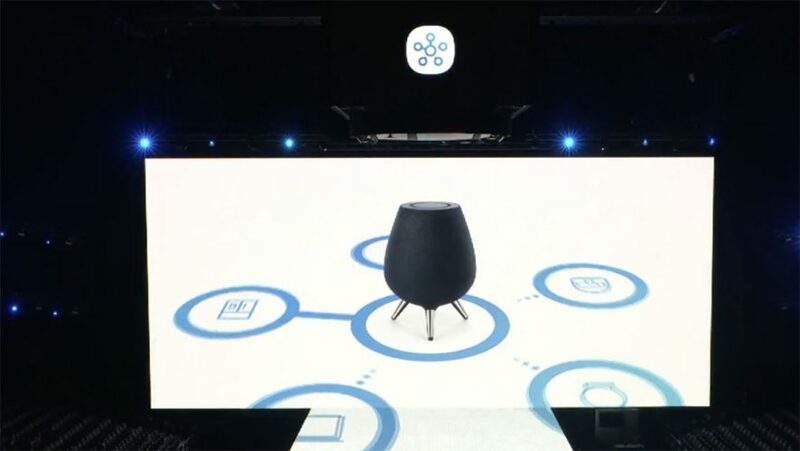 Eight internal microphones provide far-field voice recognition, helping to pick up your voice commands from across the room for you to converse with Bixby. 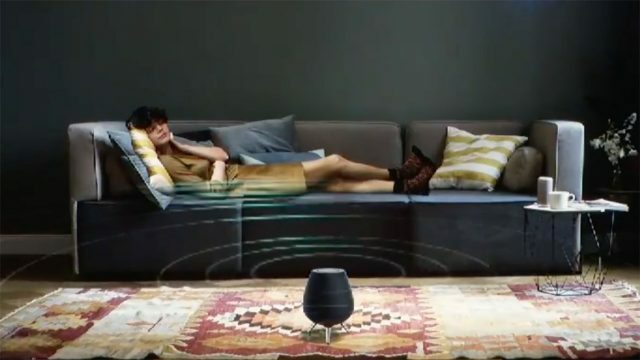 You are also able to optimise the direction of the sound based on your location with Harman’s SoundSteer technology just by saying, “Hi Bixby, SoundSteer”. Now, Samsung has made further improvements to Bixby, allowing Bixby to have a conversation with you and making it more personal and useful. The AI is able to remember what the user says, so you can now change up your search without needing to repeat the full question to Bixby. Bixby will also be integrated with plenty of apps, even those that might not be installed on your phone. For instance, it works with Google Maps for easy navigation, it can give you Yelp recommendations, and book an Uber without you keying in an address. More details regarding the Galaxy Home will be announced at the Samsung Developer Conference later in November. The Samsung ecosystem is striving to deliver a seamless user experience with AI (similar to LG’s ThinQ ecosystem), and it is starting with the way you listen to music. Instead of the traditional music streaming experience on a single medium, a partnership with Spotify is looking to cook up a new cross-platform listening experience, where music doesn’t have to stop due to a change in location or device. If we’re understanding this right, even with Spotify Connect, one would still need a master device (usually a mobile phone) to cast their existing audio streams to continue where you left off. This new partnership with Spotify looks to get rid of all that similarity to how it works between phone and PC at the moment. With this, Spotify is now part of the set-up ecosystem on all new Samsung mobile devices. 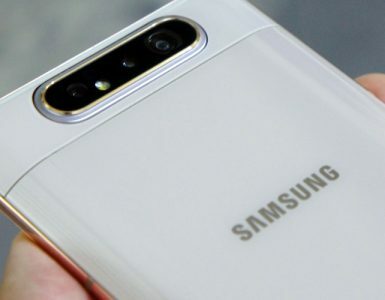 Samsung and Spotify accounts can be linked, with Spotify being integrated into Bixby as well. 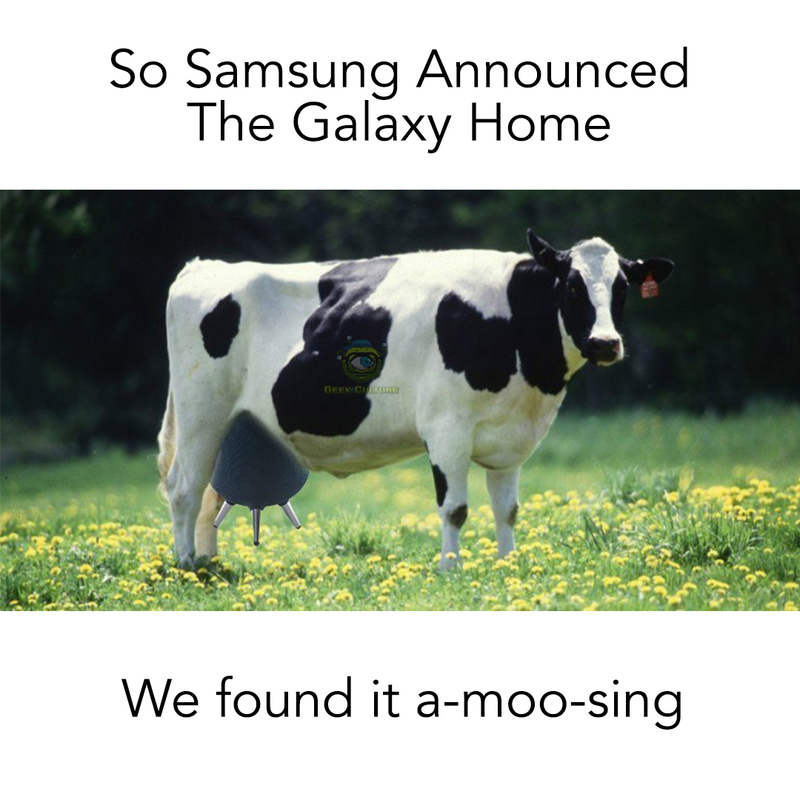 Check out these cool new additions to your home from Samsung! 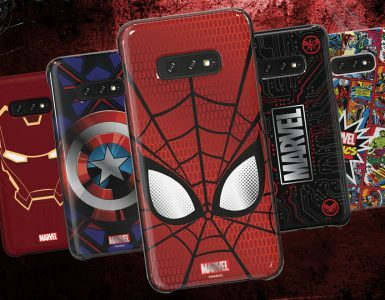 Marvel and Samsung team up to give fans a hassle-free way to dress up their latest Samsung Galaxy S10.